I guess it's time again to talk about what's happening around me at this time of the year. Firstly, let me talk about the blog. It's been quite successful since its beginning. Its gathered over 3000 views already and it will keep rising. I have been pretty busy lately with uni work and such, so my friends pumpkin_so77 and Rhycen has been helping me a lot by keeping the blog alive. I'm grateful for them to help me out. Anyway, I will keep posting stuff about Android and Technology everyday. I will also post the occasional anime review from my list. However, it seems my list is getting full and if I don't keep watching, I will have no more reviews to give. Blog aside, the MBT team along with some third party members are in discussions of holding a cosplay photography event. It will obviously be based on Vocaloid as the central theme. Our goal is to do some scenes from the 'Just Be Friends' music video. It would be great if such an event happens. Of course, there will be a lot of organizing and preparation work to do, so I will keep posted on the blog. Moving on, I bought a new mouse for my laptop today. 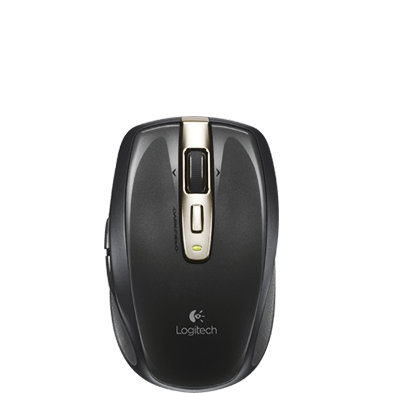 Its a Logitech Anywhere Mouse M905. It was a special today over at JB Hi-Fi and I needed a new mouse, so I bought it. Why did I choose this mouse? Because it works anywhere. Serious. It even works on glass! Also its wireless! Also it has so many features...which I'm sure you don't really care about. So just a note, Logitech products are good. Get them if you can. Other brands to look for are Microsoft and Alienware. I've had bad experiences with the Razer products so far so I don't think they're that good. Noone/thing will stop my anime watching! MUAHAHA!